I was able to convince him to share his stories and pictures on this blog. This will be a frequent thing, as long as Logan is willing to participate. The below is his first post, all his words, and all his pictures. Check it out and please leave a comment showing Logan some love! Ever traveled to a place that made you wonder, "What and whom was happening here 100 years ago?" The peeling paint, cracked sidewalks, structures, domiciles, and storefronts that seemingly haven't changed in as much time strike a curiosity in me that feeds my hunger to explore. 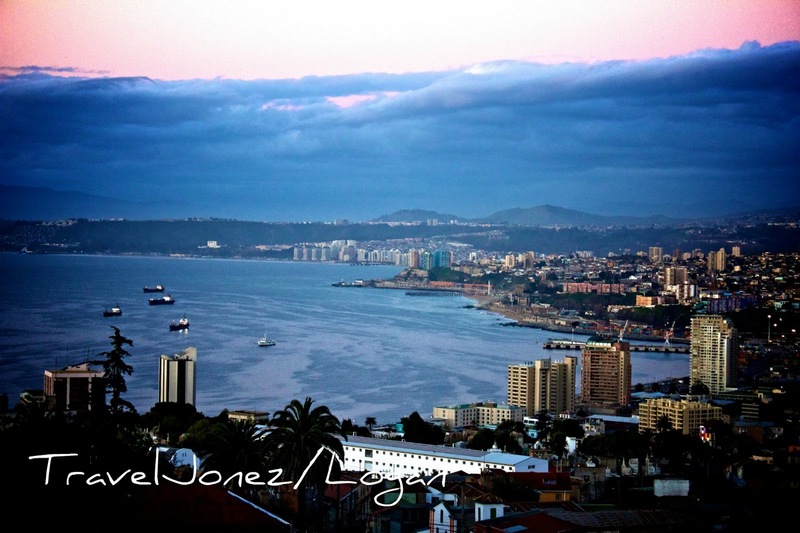 Most recently this place for me was Valparaiso, Chile. The city has a amazing ability to not let itself be defined. It's an old city, yet boasts thriving commerce, is full of graffiti, artsy cafes, well kept and dilapidated homes next door to each other, feels like an old friend yet can be dangerous at times. An important port city for Chile as well as the west coast of South America, the port stands on the edge of Valparaiso in more than just location as it is a giant modern looking structure among the rest of the city, which many would aptly describe as quaint or in the local language "pintoresca". 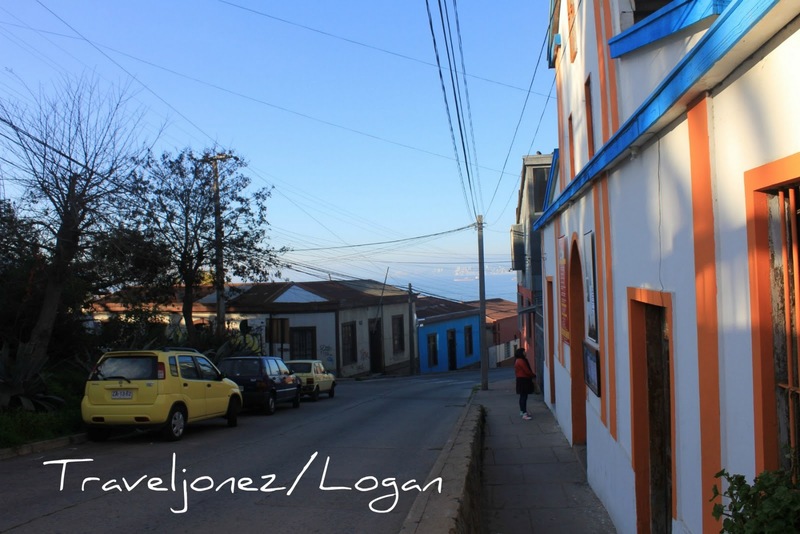 The people of "Valpo" certainly take pride in this quaintness and charm that their city exudes. 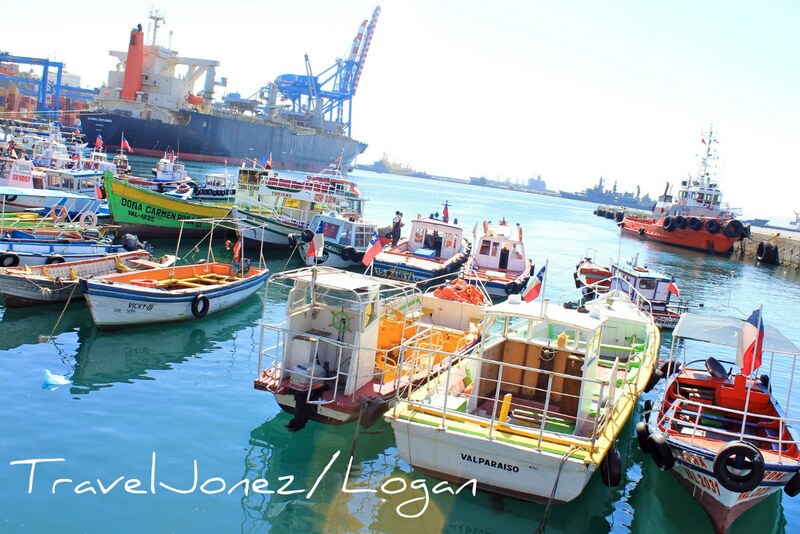 Even the industrious monstrosity of the port has colorful collage quality to match the city in which it resides. 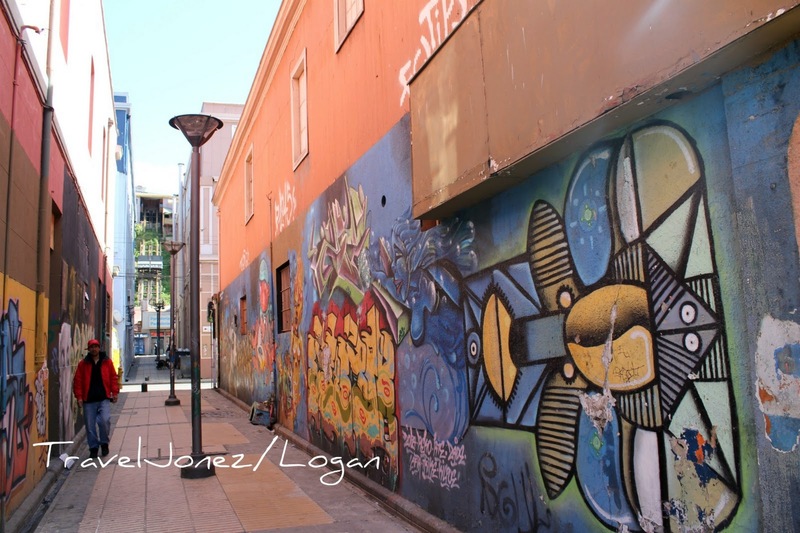 Valparaiso is known as a "bohemian" city of sorts is set on a rising landscape with interesting nooks and crannies among the "cerros" (hills) holding winding staircases, cafes, local vendors, and lookout points. 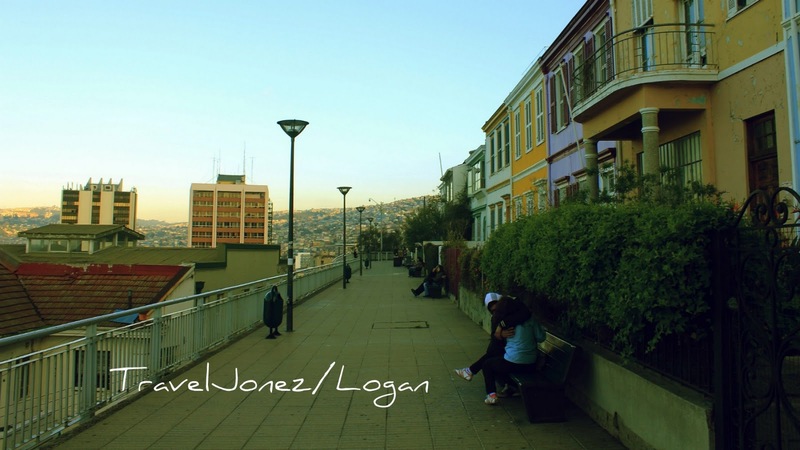 These images gave me the feeling of what I imagined South America to be. Family, warm, simple. Upon first arriving you get to view the city's colors at once, but only by walking through it's inner workings, it's guts, can one truly feel it's essence. 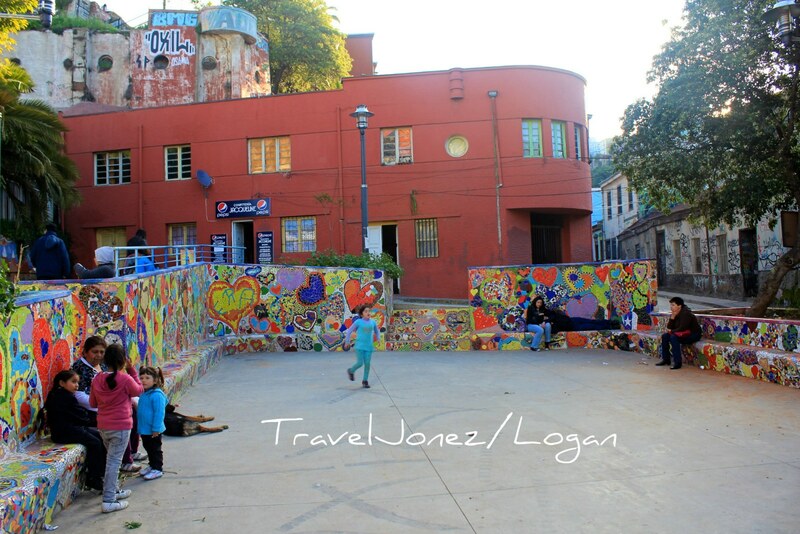 A walk through Cerro Concepcion shortly after arrival I came across row houses on empty streets painted in bright contrast and a little plaza next to a school where children played carefree. Making my way down the hill I came across a lookout point that exuded a similar warmth...of a slightly different kind. Certain cities around the world are classified as "romantic cities" and while you may not have heard of Valpo, you can go ahead and put it on your list...without question. The mixture of near perfect weather eight months of the year, stunning views, boutique hotels tucked away in the quaintest of quaint neighborhoods, and a pace that lends itself to afternoon siestas will create the mood for any pair. Having said that, for you United-Statesians...be forewarned. Latin America does NOT shy away from public displays of affection (PDA), in fact it is a part of the culture that exemplifies its warmth. Loved it ! Do you mind if i use it as a sample for my descriptive writing class ?